Scenario: Richard is invited to a party for the release of a game which stores himself. 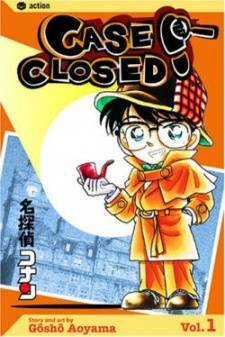 While there, Conan runs into a man who uses the alias Tequila and learns that he plans to meet with Gin and Vodka. Conan follows Tequila to the bathroom where an explosion occurs and kills the man. 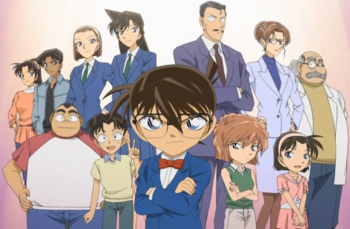 Conan investigates the explosion and realizes that it was a murder attempt but the wrong person was killed. Conan knocks Richard out and uses his voice changing bow tie to reveal what had happened. Conan reveals that Tequila and Henry Nelbit, one of the game designers, secretly exchanged suitcases. Conan reveals that the bomber is game designer Charles Shore and that Henry was his intended target. As evidence, Conan reveals that Henry's suitcase's key would fit into the suitcase Charles is holding since that is originally Henry's suitcase. Charles confesses and denounces Henry for having an affair with his wife. Conan asks Henry what he knows about Tequila's acquaintances only to learn that he always meets them in the cafe in the Apollo building. Conan heads there only to find out Gin and Vodka had cause an explosion to hide evidence of them being there.